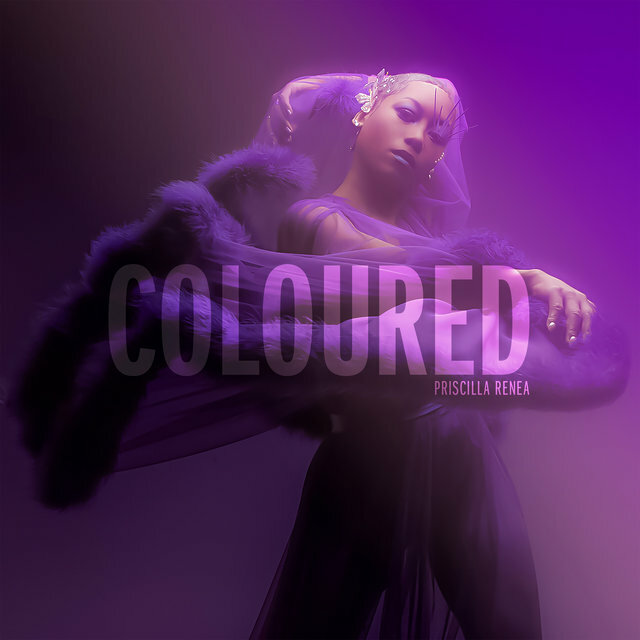 You might not know it, but Priscilla Renea is the woman responsible for some of your favorite tracks. From Kesha’s “Timber” to Rihanna’s “California King Bed,” the prolific singer-songwriter has penned or co-penned a number of popular music’s biggest hits. But now, this weeks’ TIDAL Rising Artist of the Week is stepping out on her own. With her second LP, Coloured, slated for a June 22 release, the artist is ready to prove that she’s as bold in the spotlight as she is behind the scenes. And while her solo career might be new, her readiness to be a star began at an early age — eight, to be exact. “I was vacuuming the hallway and started singing this melody and lyrics,” she says. When she started posting herself singing on YouTube, Renea eventually picked up more than 30,000 subscribers and recognized just how far her music could take her. In 2009, she released her debut album, Jukebox, landing at No. 23 on the Billboard Heatseekers chart. But her next nine years would be spent pushing her solo career aside to advance that of others — Mariah Carey, Madonna, Mary J. Blige and Pitbull, to name a few. Renea’s inherent musicality is steeped more in rhythm and hit-making than genre, which is, of course, what made her a hot commodity amongst music’s A-listers. And although she’s worked with artists across genres, the Florida native has a natural proclivity toward writing country music. “Pretty much every song I’ve ever written is a country song in some way,” she notes. On Coloured, Renea channeled that Southern influence in Nashville, where she “wrote about 40 songs” and stayed in a barn that her “Something Bad” (Carrie Underwood) co-writer Brett James converted into a studio. Next, she returned to Los Angeles, where she teamed up with producer C.N.O.T.E., whose beats she would then take back to Nashville to begin recording and creating what would come to be known as Coloured. Later this week, Renea will clue us in on her vision for the album and just how far she’s come from her years behind the song to her current days gearing up for her second solo release.